Peter Bryer: Mobile Foresight: “Samsung Galaxy S III to feature wireless charging!" Yes, prepare to be dazzled by wireless power claims. “Samsung Galaxy S III to feature wireless charging!" Yes, prepare to be dazzled by wireless power claims. Wireless charging is a hot new feature more than 100 years in the making. But that’s how technology trends so often develop. As often is the case, it’s not who does it first, but who does it loudest. A story originating out of Korea has it that Samsung’s next iteration of their successful Galaxy super phone line will feature some form of wireless charging. Sure, wireless charging has been done before, even in smartphones. Just see the last HP WebOS device with its “Touchstone” charging system. More than 100 years ago, Nikola Tesla demonstrated real wireless electricity. And practically every electric toothbrush on the market over the past 20 years have featured some form of inductive coupling. And now the same convenience will soon become mainstream in the handset market. Nope, wireless charging is not breaking news. The Wireless Power Consortium was formed more than five years ago to address the specs that could boost the market for such a feature, and their Qi standard was first published in 2009. And other organizations and companies have been proposing their own solutions along the way. So get ready for great claims and power games. There’s always some smoke and mirrors when it comes to rolling out such new old technology. In reality, it’s done with wires. 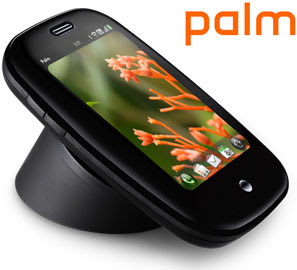 Palm did it long ago. Who?